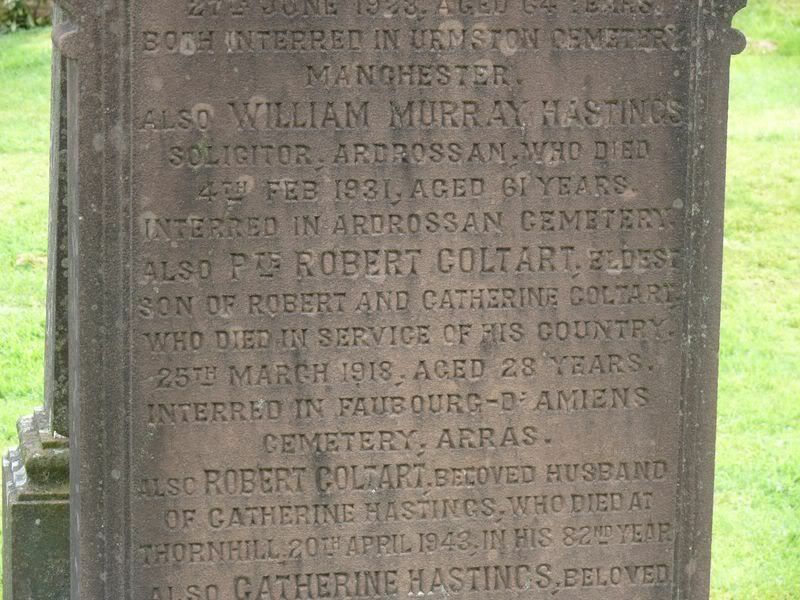 Additional information: Son of Robert and Catherine Coltart, of 4, West Morton St., Thornhill, Dumfriesshire. Grave/Memorial Reference: VI. C. 28. 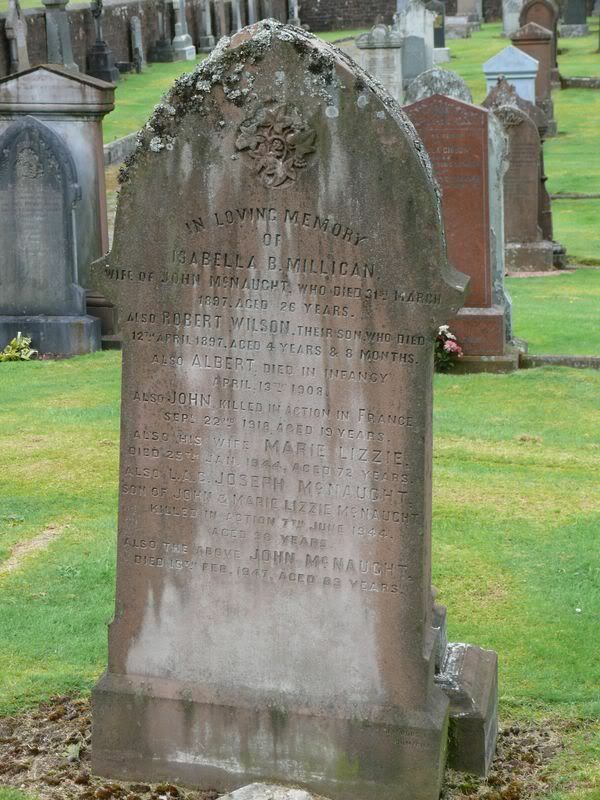 Additional information: Son of Archibald Dalziel, of 31, New St., Thornhill, Dumfriesshire. Grave/Memorial Reference: Panels 23 and 24. 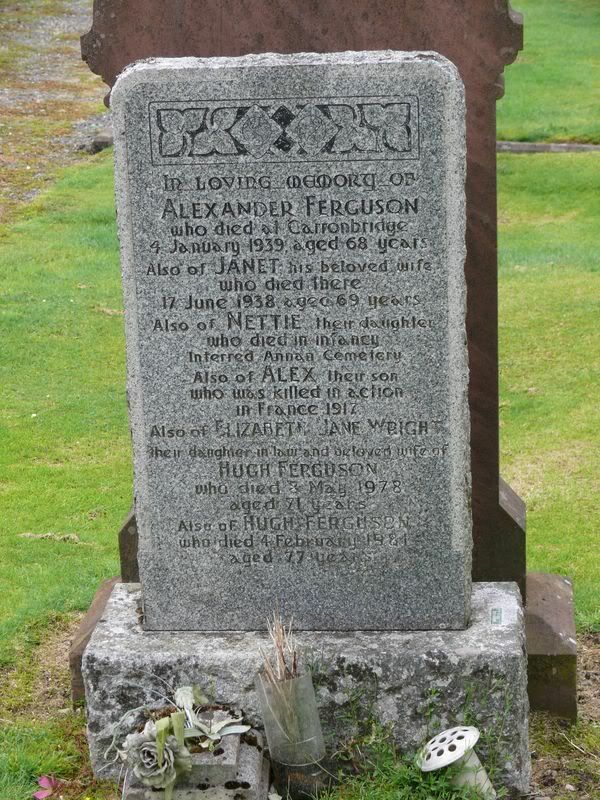 Additional information: Son of Alexander and Janet Ferguson, of Carronbank, Thornhill, Dumfriesshire. Grave/Memorial Reference: Panel 66 to 68. 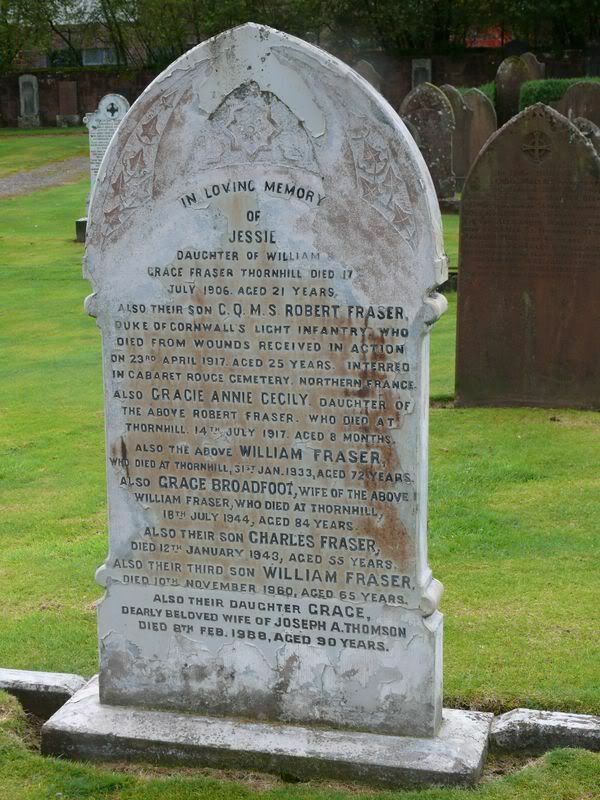 Additional information: Son of William and Grace Fraser, of 9, Drumlanrig St., Thornhill, Dumfries; husband of Annie A. Fraser, of "Kinnaird," Stokewood Rd., Bournemouth. Unit Text: No. 4 (University) Coy. 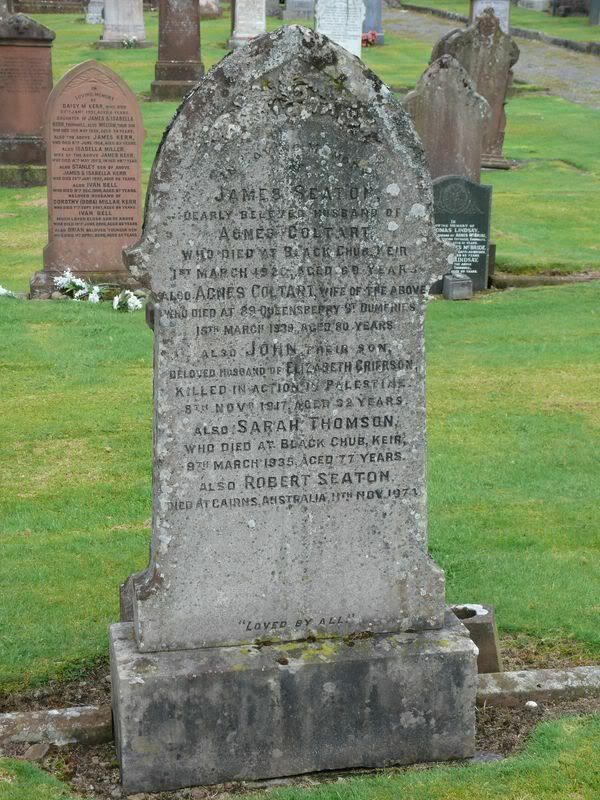 Additional information: Son of Mr. and Mrs. James Hiddleston, of Carronbank, Thornhill, Dunfries-shire, Scotland. 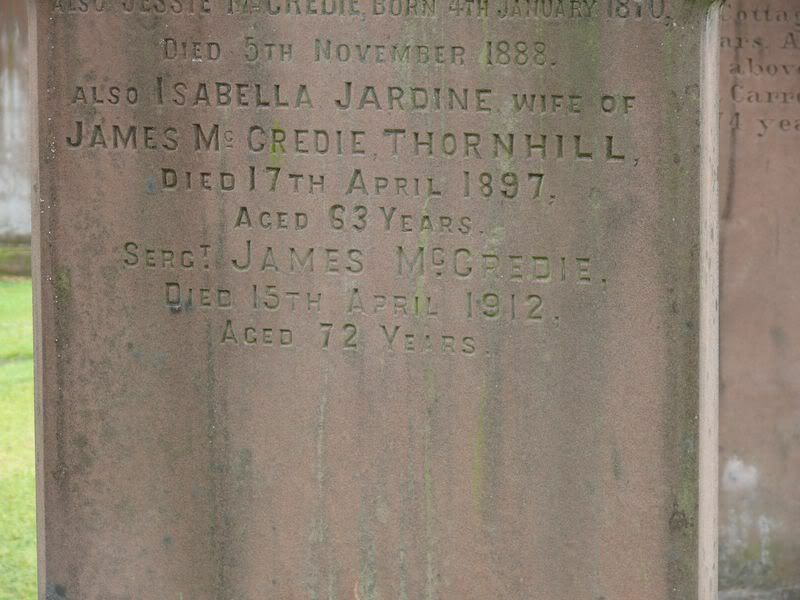 Additional information: Son of James and Margaret Hiddleston, of Carronbank, Thornhill, Dumfriesshire. Grave/Memorial Reference: XI. E. 12. Secondary Unit Text: posted to 2nd/20th Bn. Grave/Memorial Reference: IV. E. 13. 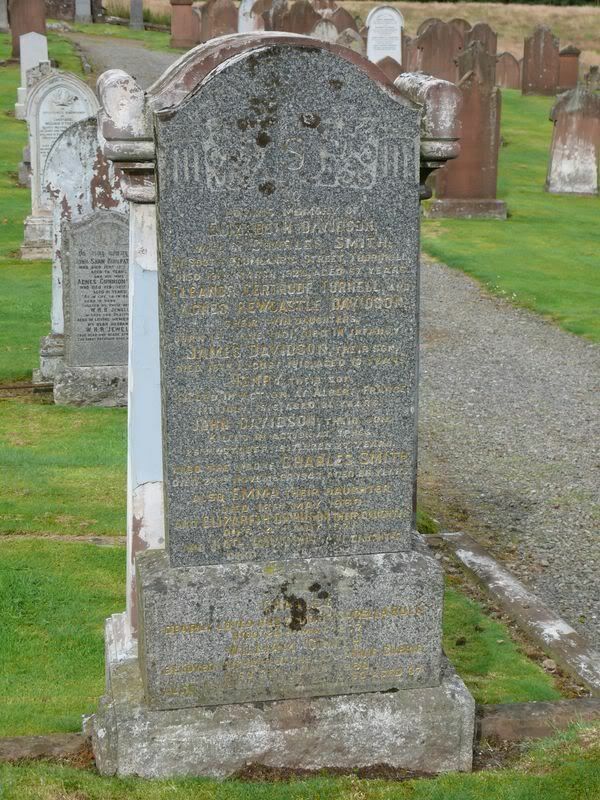 Additional information: Son of Mrs. M. Kin, of Carronbridge, Thornhill, Dumfriesshire. Secondary Unit Text: attd. 4th Bn. 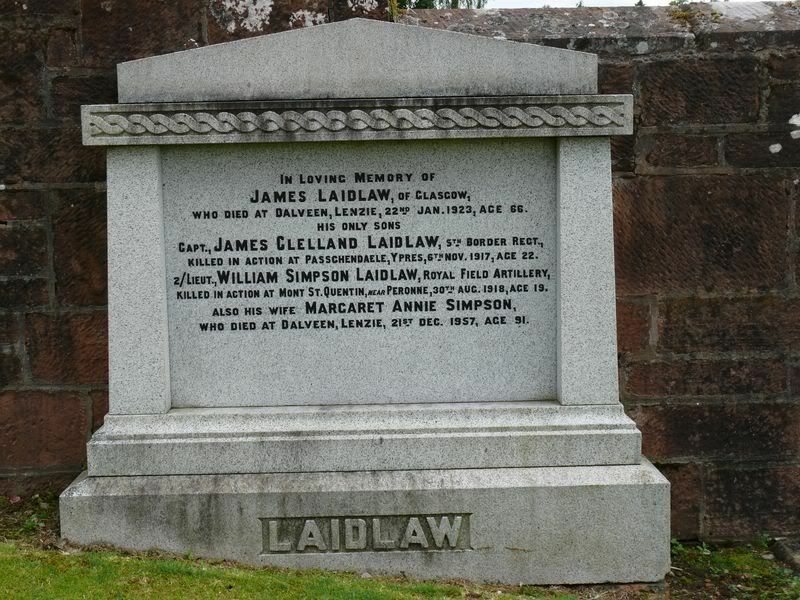 Additional information: Son of James and M. A. Laidlaw, of Glasgow and Dalveen, Lenzie, Lanarkshire. 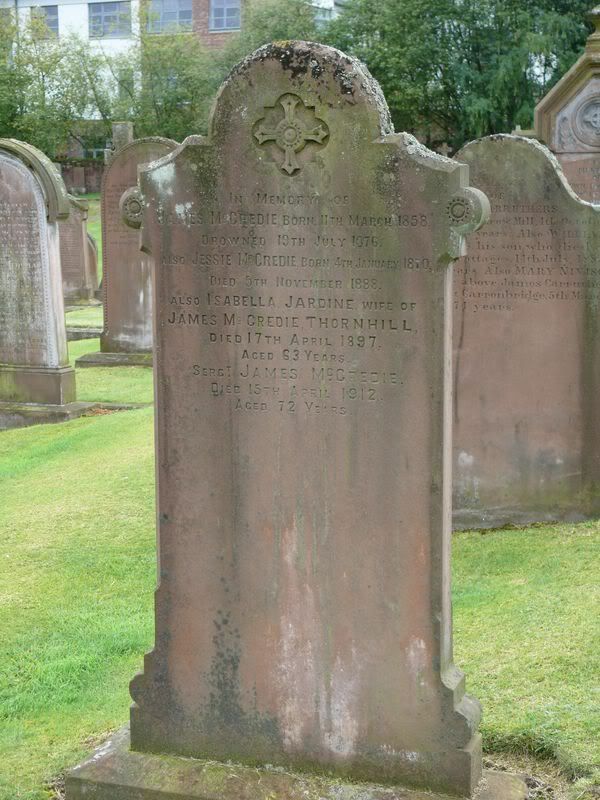 Additional information: Son of James and Margaret Annie Laidlaw, of Dalveen Lenzie, Glasgow. Grave/Memorial Reference: Panel 3 and 4. 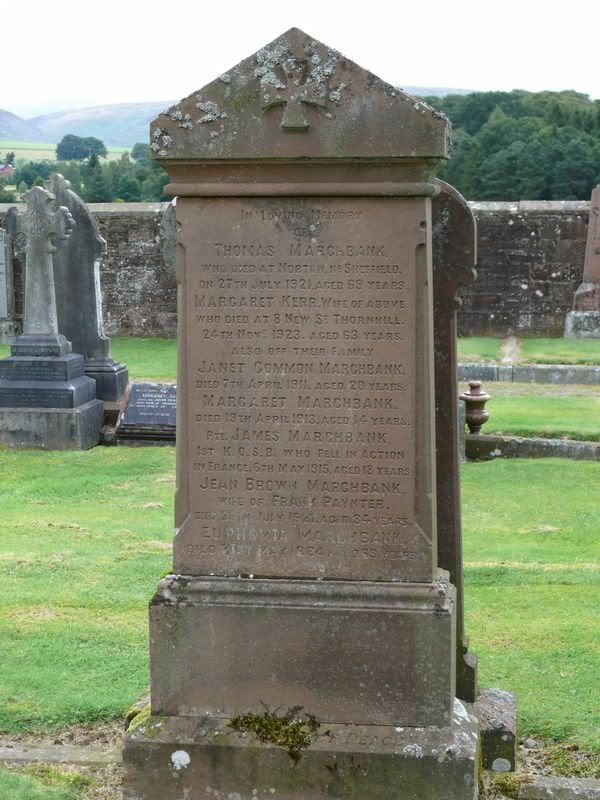 Additional information: Son of Thomas and Margaret Marchbank, of 8, New St., Thornhill, Dumfriesshire. Grave/Memorial Reference: II. A. 151. 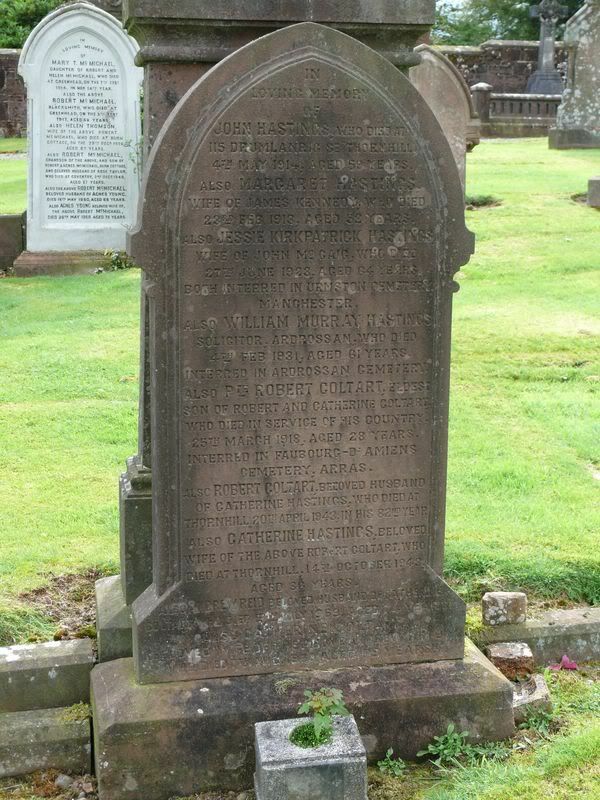 Additional information: Son of John and Mary McCowan, of Thornhill, Dumfriesshire. Unit Text: Drake Bn. R.N. Div. 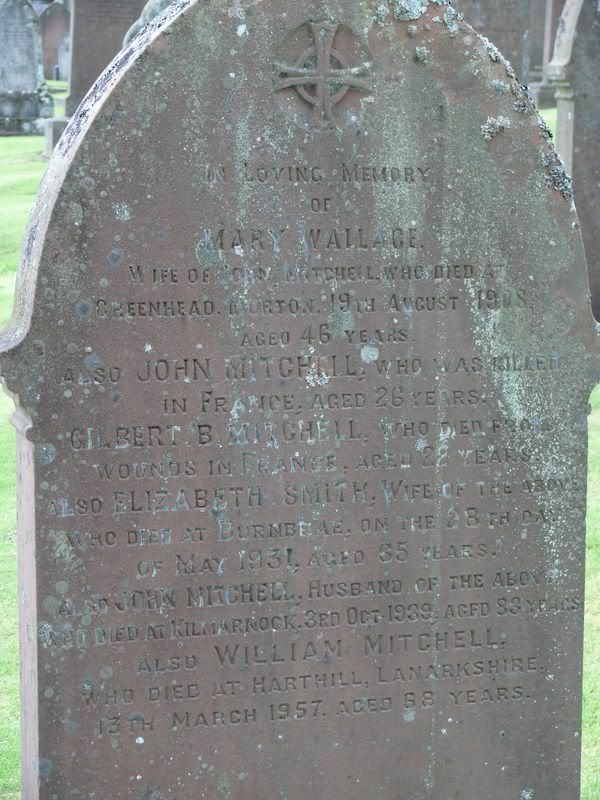 Additional information: Son of William McDonald. Grave/Memorial Reference: Panel 1 and 2. Quite some confusion on this one. 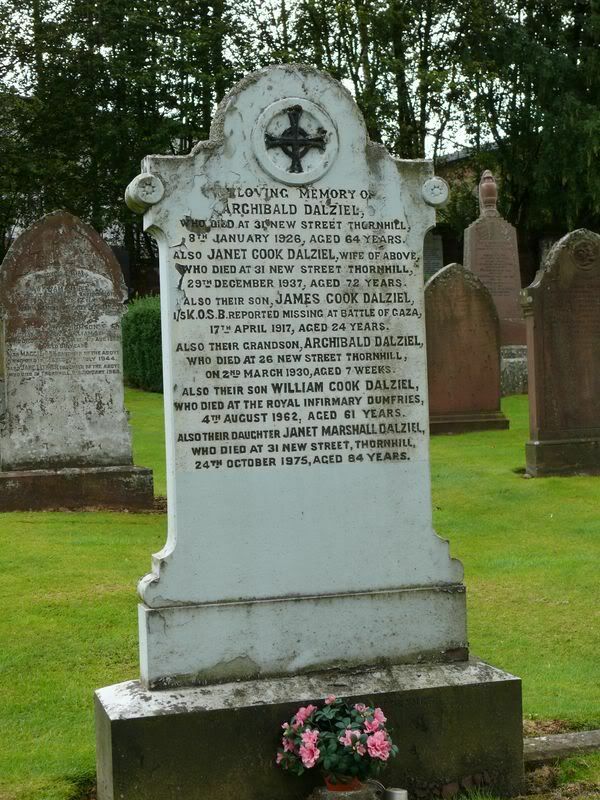 CWGC has his name incorrect as Alexandra instead of Alexander (correct on SNWM). 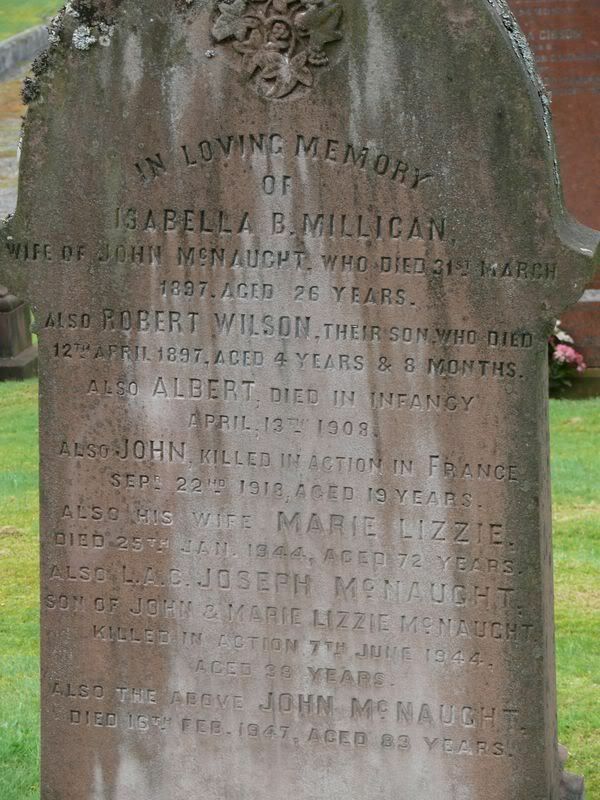 There is also a discrepancy in the name of his father between CWGC and the gravestone. However I am sure that it is the correct man, both full name and date of death agree. I have reported the discrepancy of the names (Alexandra for Alexander) to CWGC today. 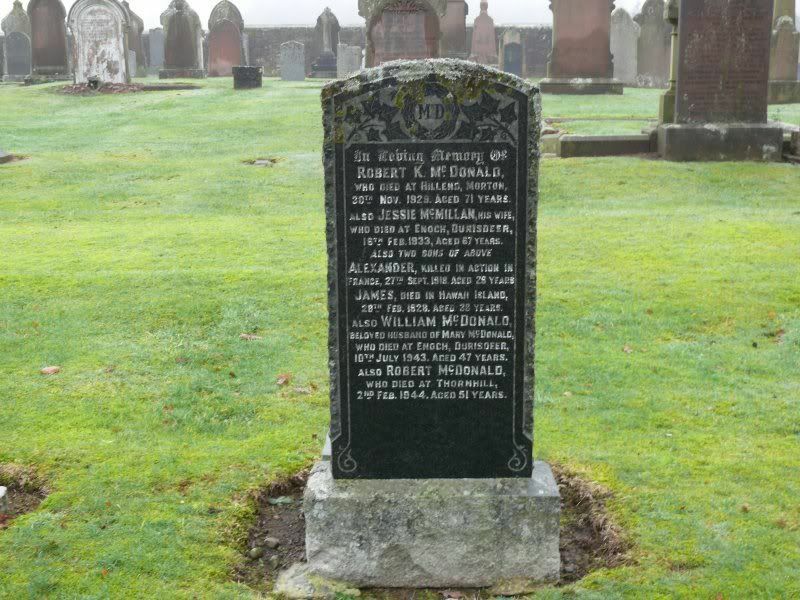 His MM does not appear on the gravestone and he is not listed on the local war memorial, nor any civic memorial in Dumfries and Galloway. 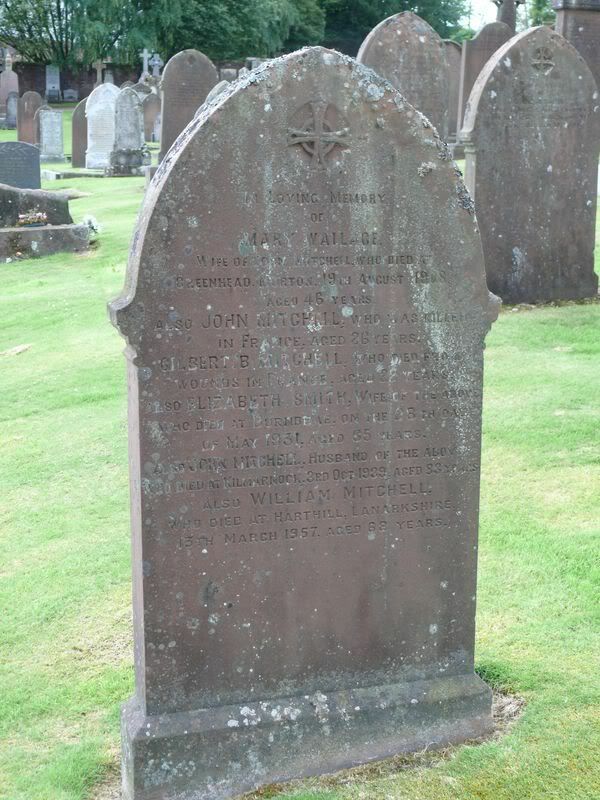 Additional information: Son of John McNaught, of 1, Carronbridge, Thornhill, Dumfriesshire. 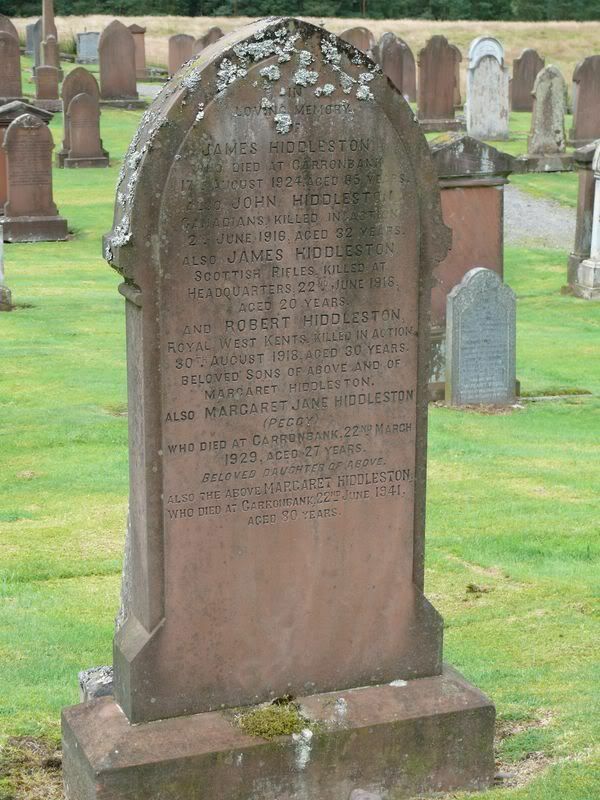 Additional information: Son of John McNaught and of Mary McNaught (nee Clifton); husband of Isabella Watson Brown McNaught (nee McDonald), of Springfield, Fife. 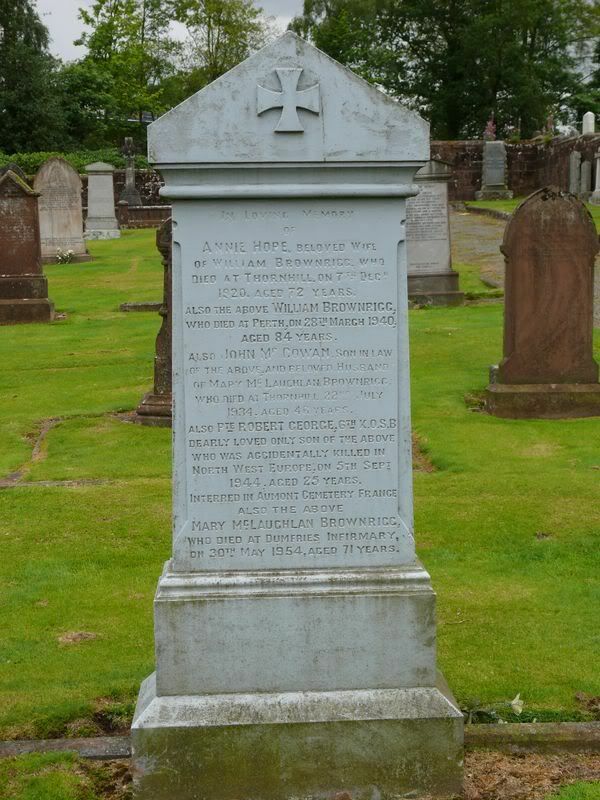 Grave/Memorial Reference: Pier and Face 4 A and 4 D.
Additional information: Son of Mrs. Mitchell, of Burnbrae Cottages, Thornhill, Dumfriesshire. Grave/Memorial Reference: V. E. 36. 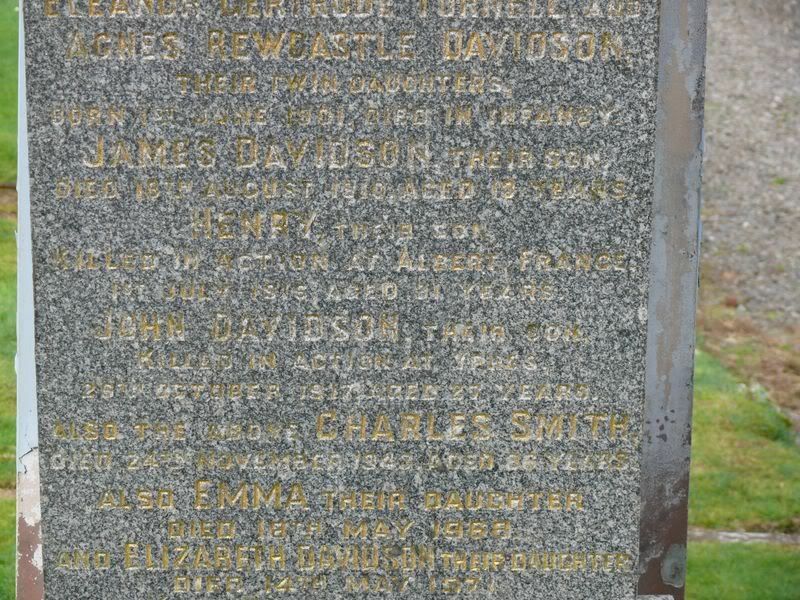 Additional information: Son of James and Agnes Seaton, of Blackchub, Keir Thornhill; husband of Elizabeth Seaton, of Leaston Humble, East Lothian. Grave/Memorial Reference: XXV. A. 11. Unit Text: "A" Coy. 11th Bn. 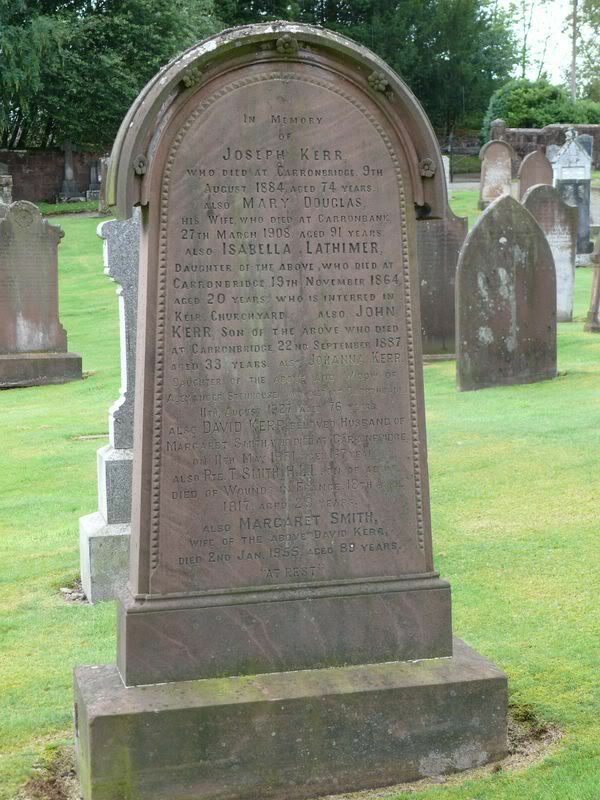 Additional information: Son of Charles and Elizabeth Smith, of 61, South Drumlanrig St., Thornhill, Dumfriesshire; husband of Annie Jane Pleasants Smith, of 4, Union St., Leith, Edinburgh. 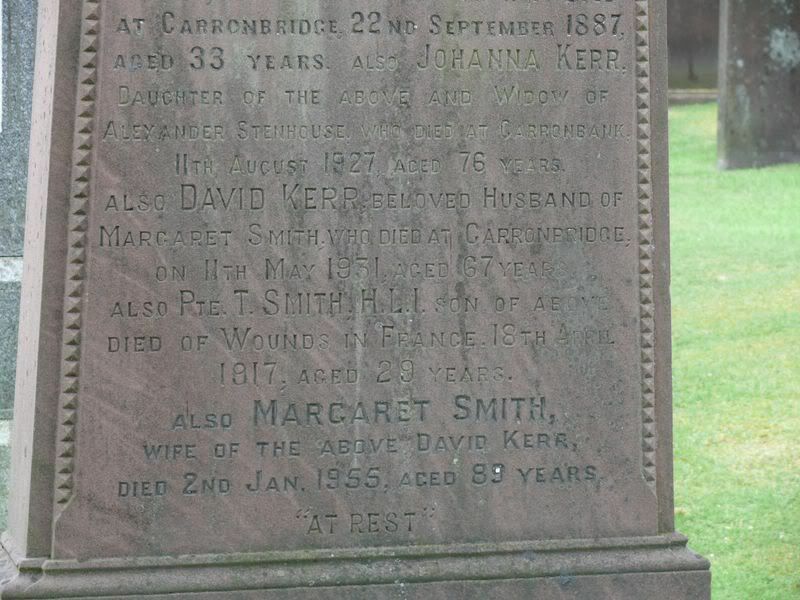 Additional information: Son of Charles Smith, of 61, South Drumlanrig St., Thornhill, Dumfriesshire; husband of Mary Messenger Smith.